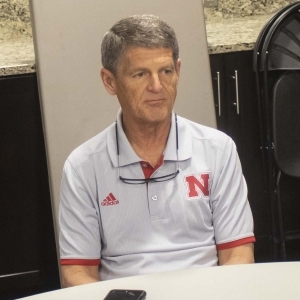 As he made his way over to his seat at the press conference, he gently ribbed some of the reporters he recognized from his first stint in Lincoln. “Wish I could say it’s nice to see him, right?” Sadler said with a smile, nodding at a longtime newspaper writer in the room to chuckles. Sadler was dressed in sweatpants and a wrinkled warm up shirt that had “Nebraska” spelled out in white script lettering. When he finally sat down, he didn’t so much settle into his seat as he did slump down into it. Sadler looked comfortable, but tired at Monday’s media availability with reporters. 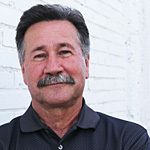 He resigned from his post as head coach of the Southern Miss Golden Eagles on Thursday. Then on Friday, he was officially announced as one of Fred Hoiberg’s assistants. Although proud of his time with the Golden Eagles, Sadler conceded that the last few seasons began to wear on him. “The last five years have been long and hard,” Sadler said. With exhaustion setting in and Hoiberg taking the reins, the stars were aligned for Sadler to return to NU under his former boss at Iowa State. However at least initially, he had to give it some thought. It was an emotional afternoon for Sadler on that March day in 2012 at Memorial Stadium. 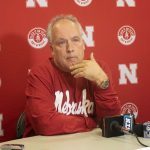 After six straight seasons without an NCAA Tournament appearance and a disastrous debut season in the Big 10 which saw the Huskers win four league games total and go 12-18 overall, he was fired by then athletic director Tom Osborne. Sadler, like former Nebraska football head coach Mike Riley would, spoke at the press conference following his firing. Sadler stepped away from the podium multiple times. He choked back tears. When he opened up the floor to questions, not a single reporter had anything to ask him. He hung his head and then trudged out of the room. Now that he’s back, he’s ready to get to work. Sadler will play largely the same role that he did while he was on Hoiberg’s staff at Iowa State from 2013-2014. “(Hoiberg is) as good as an offensive coach that there is. I probably don’t have to tell y’all that it wasn’t one of my strengths,” Sadler joked. Sadler’s time as head coach at Nebraska may have been unremarkable, but he, along with Hoiberg and the rest of the coaching staff, have the bar set high this time around. When asked what the expectations for the program were, Sadler offered up that they were chasing the loftiest goal of them all, a national championship. *Matt Abdelmassih wasn’t even asked to come on staff. Hoiberg assumed he was on board to begin with. “He never even offered me the job,” Abdelmassih said. He hopped on a plane with Hoiberg and inked his contract at the same time Hoiberg did. 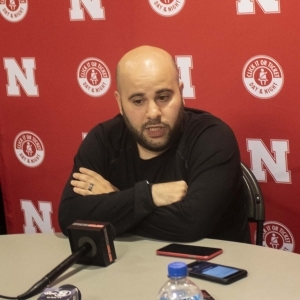 Also, Abdelmassih will be the main recruiter at NU. 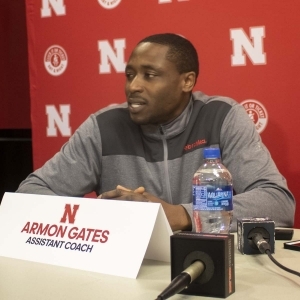 *Armon Gates was left in a lurch once Tim Miles was fired, but it was Miles himself who lobbied for Gates in a conversation with Hoiberg following his departure from the program. “The rest is history,” Gates said. *Bobby Lutz is a special assistant on the staff. He’ll primarily watch tape and do the scouting reports.